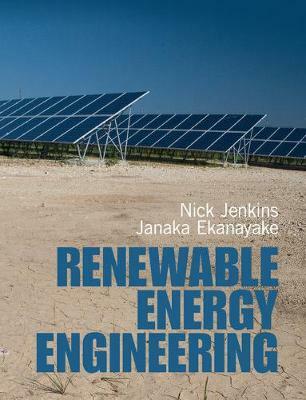 This book provides a quantitative yet accessible overview of renewable energy engineering practice and the technologies that will transform our energy supply system over the coming years. Covering wind, hydro, solar thermal, photovoltaic, ocean and bioenergy, the text is suitable for engineering undergraduates as well as graduate students from other numerate degrees. The technologies involved, background theory and how projects are developed, constructed, and operated are described. Worked examples of the simple techniques used to calculate the output of renewable energy schemes engage students by showing how theory relates to real applications. Tutorial chapters provide background material, supporting students from a range of disciplines and ensuring they receive the broad understanding essential for a successful career in the field. Over 150 end-of-chapter problems are included with answers to the problems available in the book and full solutions at www.cambridge.org/jenkins, password-protected for instructors.